Hi there, Queensville here with another post. With the warmer weather here, you’re probably finding yourself opening the windows and letting the fresh air into your home; however, once the season is in full swing you’ll likely be doing the opposite. When the mercury soars, you’ll want to keep your home sealed to prevent your air conditioner’s cool air from escaping. This can definitely affect the air quality in your home, which can be disastrous for allergy sufferers. Here are a few tips to keep your air fresh this summer. You should strive to keep your floors and surfaces fresh. If you don’t currently have any mats in your home, you should ensure that you place one in front of all of your doors. Our shoes bring lots of allergens into our homes, so wiping your feet on a mat can help prevent you from tracking them through your living space. Allergens can also be spread through the home by your pets. If you have a pet, you’ll want to ensure that you brush and clean them often during the summer months, as they’re magnets for everything that lives in your yard. It’s also a great idea to get a vacuum with a HEPA filter, which can pick up fine particles that some regular vacuums can leave behind. You may not know this, but your air conditioner is already working to help you breath easier. It reduces moisture in the air and effectively reduces your indoor pollen count. You can help it run efficiently by changing your filter on a monthly basis. 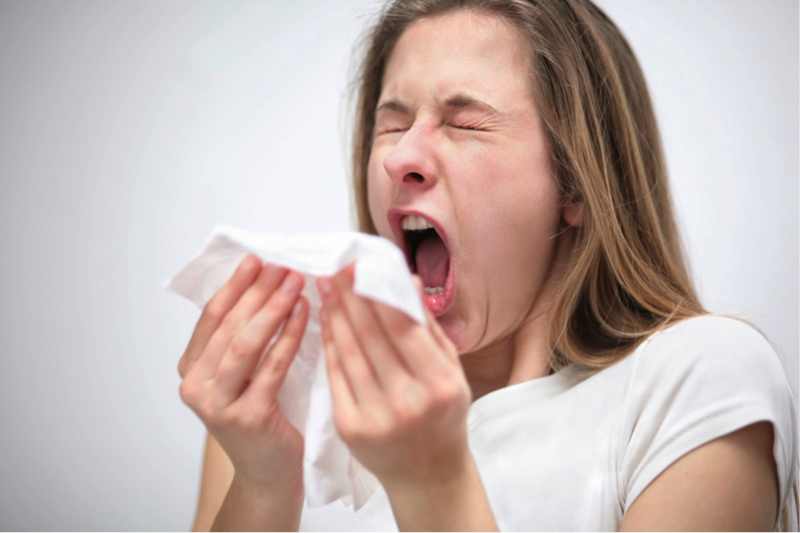 Making sure the air in your home is fresh can make the season much easier for the allergy sufferer in your life. I’ll continue to share tips and things that I love with you next week.